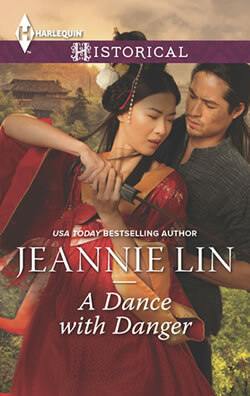 Note: The following is an excerpt of The Dragon and the Pearl, a sequel to Jeannie Lin’s debut novel, Butterfly Swords. It may contain spoilers if you haven’t read Butterfly Swords. This copy has not been through final copyedits and may contain minor differences from the final copy. 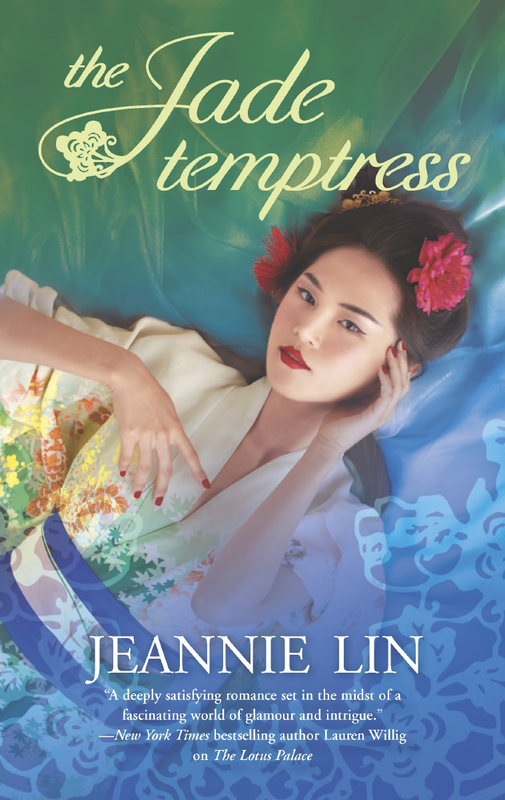 Lady Ling Suyin waited in the parlor at the edge of the Snake hour, her house rendered silent except for the buzz of dragonflies outside. The tea before her had long gone cold. The last servant had brought it that morning before fleeing. The boldest of them had begged her to join them, but the warlord who was coming for her would burn every village along the river to find her. She wouldn’t add to her growing collection of debt. Another stone on the scale. She straightened at the crunch of boots over the leaves at the front of the house. They were steady and deliberate. Her heart pounded harder with each impending step. He’d come alone. Her breath caught as the imposing figure appeared in the doorway, every bit the demon they spoke of in the imperial court. Black robe, dark hair cut short, an impassive expression that revealed nothing to her. That meant she had nothing over him. 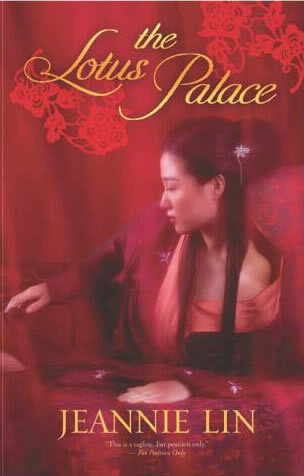 “Ling Guifei.” His voice rang deep as he greeted her by title. The first and only time she had seen Li Tao, he’d stood before the imperial court as a young man being commended for his valor. The restless energy that once radiated from him was constrained behind a wall of discipline. Time had honed him to razor sharpness. Time had not left her untouched either. Her stomach fluttered in warning, but she breathed through it. She propped an elbow onto the table and made her tone as light as possible. All the while, her heart pounded so hard she could barely hear her words. As if she could be safe with him. There was nowhere safe for her any longer, no allies left to protect her. Would the late Emperor’s enforcer come for her after so many years? She had thought her secrets long buried. 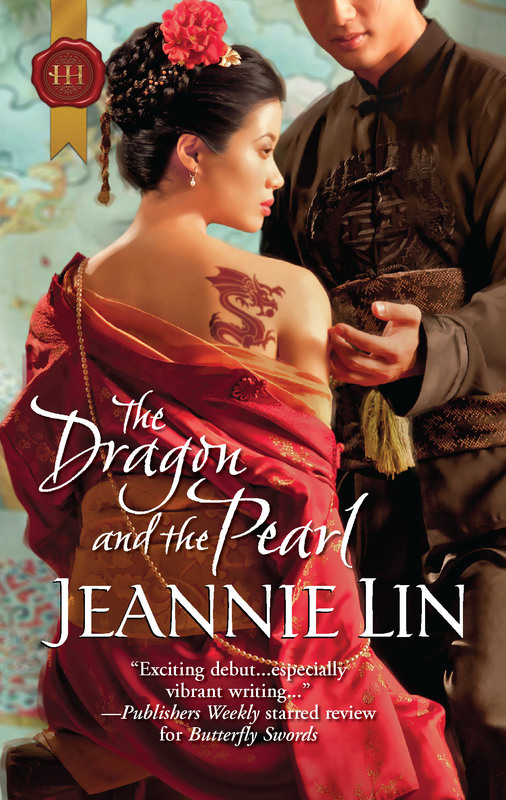 Suyin dug her nails into the edge of the table as he stepped closer. She had been left alone to fend for herself before, but she had been young and defenseless. An accomplished courtesan should be able to command her fear. She should be able to command the man in front of her. 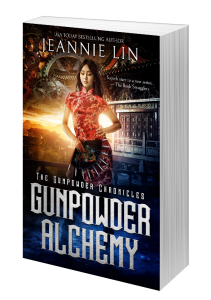 Li Tao halted two strides from her, and she spied the silhouette of a weapon inside the drape of his sleeve. An assassin’s blade. She lifted the cup and took a sip to cover her shock. Cold, bitter tea slid over her tongue. Experience allowed her to keep from trembling, but she had no control over the way her heart raced or how her palms grew damp as he loomed over her. The warlord addressed her as if she were his superior. It wasn’t much, but there had to be some way to use it. She caught the trailing edge of her shawl and draped it over her shoulders. She stood straight and paused before gliding past him. A palanquin awaited her by the side of the single dusty road leading from her manor. A regiment of soldiers outfitted in black and red assembled around the litter. The military governors, the jiedushi commanded their own regional forces independent of the Emperor’s army. No one challenged them within their own domains, but this stretch of the forest was clearly under imperial jurisdiction. This was an affront the Emperor would not overlook. Li Tao followed her like a gathering storm to the sedan, and the urge to flee nearly overwhelmed her. If she ran, it would only remind him that he was a hunter, a warrior, a killer. As it was, some part of him thought he was a gentleman. That was all he’d grant her. With a heaviness in her chest, she looked back. The August Emperor had built this home for her before his death. The manor itself meant nothing to her. Her gaze drifted to the river beyond, a rolling canvas on which the sunlight danced. She breathed deep to take in the scent of the river, of the surrounding moss and earth. This was what she would miss. She wouldn’t cower before him. The rulers of the empire devoured the weak. She waited until he came forward to pull the curtain aside with a sweep of his arm. The tiniest of concessions. His eyes narrowed. “A woman,” he said after a pause. “You do not disappoint,” he said in a low voice. “And here I had thought the game was over for me,” she murmured. He didn’t respond. Her shoulder brushed against his sleeve as she slipped inside the wooden transport. His black eyes remained on her as the curtain fell back across the opening. The journey came to Suyin in fragments snatched through the window. She caught glimpses of thick vines growing over the trees, the reflection of sunlight off of distant water. Li Tao rode at the front and his soldiers kept her surrounded at every moment. This must be Li Tao’s infamous first battalion. They called themselves the Rising Guard and held the reputation of being the fiercest warriors in the empire. The dense shade and the babble of her river gave way to a dirt road grooved with wheel tracks. They were going south, farther away from the seat of imperial power. She no longer had a place in the new Emperor’s court, but she clung to illusion that the center of the empire was a safe and civilized place. What lay beyond was lawless and unpredictable. That was why they had needed the jiedushi. It was true. The regional armies were assembling. She had isolated herself from the capital city of Changan to escape from the unrest, but news still drifted to her over the last year through her servants. They made weekly trips to the city markets while she remained shut away in her manor. There was only one reason for a barricade in the interior of the empire. There was in-fighting among the military governors. They had been gaining in power for years and continued to seize control in the uncertainty of Emperor Shen’s rule. Perhaps she should have gone into hiding with the servants after all. The survival instinct returned to her, wrapping around her like second skin. She sharpened her senses and became aware of everything around her. Li Tao prepared for war with swords and soldiers. She had her own weapons. Over the next days, the open road faded beneath the shadow of a mountain and the soil became dark and rich. They traveled into a verdant forest of bamboo. The stalks rose high overhead. They called it the bamboo sea, not for any vast stretch of water, but for the rhythmic sway of the bamboo and the rustle of the spear-tipped leaves in the breeze. The green canopy engulfed them on all sides. When she blinked away from the window, a red haze remained over her eyes, veiling the world in an unnatural glow. Suyin peered out the window of the sedan to search for Li Tao. He rode tall in the saddle, back straight. His dark robe stood out against the forest green. Naturally, he became her main focal point. He had all the power and she had none. He’d barely spoken to her except for the scant conversation they’d exchanged by the river. Why would he go beyond his barricades to take her captive? Her influence had died with the August Emperor. She was merely a relic now, faded and wrung free of any usefulness. The caravan came to an abrupt stop and the curtain was swept aside. Once again, Li Tao stood before her. He extended his hand and she had no choice but to take it, pressing her fingers briefly over his before letting go. The fleeting warmth of the touch lingered on her skin, and a disturbing awareness curled around her as she stood beside him. She knew how to identify influence and power, but had never been so recklessly drawn to it. Li Tao remained behind her as they moved past the twin lion statues that guarded the entrance. With every step, she became more aware of his dominance. His stride was confident and his authority complete. The illusion of deference he presented by allowing her to lead the way was laughable. How long would it be before he made his true demands known? Household servants filed into the entrance hall one after another. Only seven of them, a small number for such a spacious compound. A gray-haired, round-faced woman headed the assembly. She gasped when Li Tao made the introduction. “Ling Guifei!” The old woman bowed and bowed. The narrow bones of her shoulders protruded through the brown servant’s robe. “Jinmei, show Lady Ling to her apartments.” Li Tao cast a dismissive glance in Suyin’s direction before turning to leave. Insufferable. She flushed hot with anger as he disappeared down a corridor. He had treated her with the same indifference throughout the journey. She had been taken from her home under force of arms, yet he cast her aside as if she was of no importance at all. It was—it was worse than being interrogated and threatened. At least then she’d know what his plans were. 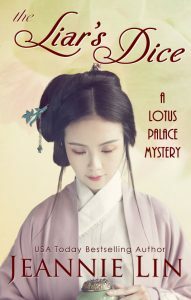 Auntie padded along in her slippers and led Suyin past the parlor to the interior rooms. The chambers stood silent and spacious with furnishings laid out in neat angles. Everything was meticulously dusted and non-descript, as unrevealing as the master of the house. She followed Auntie outdoors through a central courtyard with a carefully arranged garden. The gardener brushed his wiry fingers over a hedge before cutting with his shears. His eyes neither focused on his hands or the sharp blades in front of him as he worked. When he addressed the lanky youth by the fish pond, his gaze remained vacant, stopping just short of fixing on his target. The youth caught her eye as she passed. He looked to be sixteen, grasping at the edge of manhood. A clump of damp grass hung dripping from one hand while he watched her. His left arm hung rigidly against his side, the fingers of his hand withered and gnarled like a pigeon’s claw. She tore her gaze away with sudden embarrassment. The image of the blind gardener and his crippled assistant lingered. In the palace, even the lowliest of servants were chosen for physical beauty to perpetuate the illusion of perfection. In the eastern section of the house, Auntie led Suyin up a staircase. Her assigned guard stayed outside the double doors as they entered the apartments. The woman reminded her of the elder servants who had served in the palace for so long they nearly held rank. Their speech and manner might be subservient, but they possessed all the cunning in the world after the secrets their eyes had seen. In the palace, Suyin had learned to never underestimate the servants. She had formed alliances wherever she could. Auntie took her through the sheer curtain onto the balcony. From there she could see the ridge of the gray cliffs in the distance. The clean, crisp air of the forest surrounded them. Gripping the wooden rail, Suyin peered at the yard below. Li Tao had imprisoned her on the second floor. A vast gorge opened up beyond the edge of the stone tiles. The granite walls plunged sharply to disappear into oblivion. Even if she were brave enough to make the climb from the balcony, there was nowhere to run. She had been through all of the possibilities. The warlord could be holding her hostage, which was unlikely as she no longer had any allies in the empire. His capture of her could be purely an act of defiance against imperial authority. More likely he thought she held some vital secret. There had been a time when she had many secrets at her fingertips. From the beginning then. Suyin leaned once more over the rail and breathed deep, catching the scent of moss and dampened earth. From the very first time anyone had ever heard of a man named Li Tao.